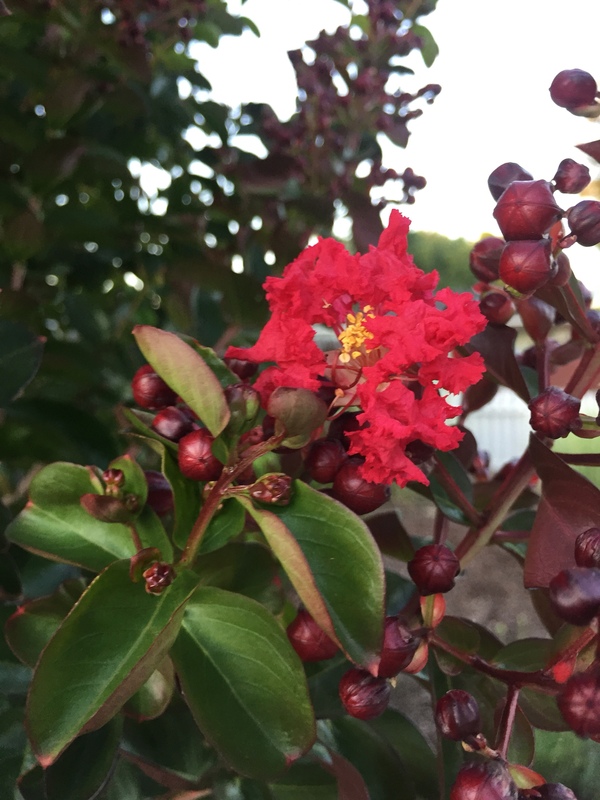 Today’s #OneGoodThing was the very first blossom appearing on Mama’s favorite tree — our crepe myrtle! We are so eager for this tree to be exploding with color! Day 191 of 365. And Day 922 in a row (here’s the first 366 & the following 365)!